Advances in care over the centuries have sometimes been ignored but continue to serve as reminders for the need to understand and build a wider perspective. For this to be accomplished, history must be traced. Deborah Liebart, Alumna of the École des Hautes Etudes en Sciences Sociales, Paris, Researcher with the Center for Historical Research and Fellow for OpenCare is exploring the question of care in European societies and how effective the different care systems contribute to the inclusion and sustainable growth of the European Union. She will be participating in mobilizing and exchanging her knowledge and experience within OpenCare. 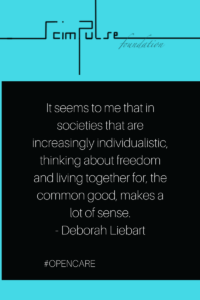 Deborah Liebart is committed to improving living conditions and to secure the future for present and future generations. During a conversation with Marco Manca, by learning about the SCimPulse Foundation and its projects aimed at improving humanity, it was natural she was to become a member of the foundation and share her knowledge. 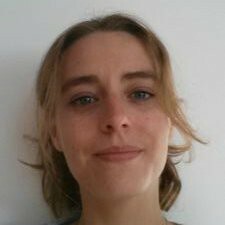 Since that conversation, Deborah has joined the OpenCare project, and we have had the chance to ask her a few questions about her journey so far. What resonated with you most when speaking to Marco regarding SCimPULSE? What attracted you to OpenCare? How is your work influencing OpenCare? Do you feel challenged by the topic the Foundation has bestowed on you? ‘’The topic is fascinating and has been challenging in many ways. To study the emergence of the mutualistic movements during the industrial revolution, and to try to understand how individuals at the time were thrown in precarious conditions, and weakened by the ongoing transformation of working conditions. Which succeeded in creating organizations that would allow them to defend their own interest, and at the same time those of the entire group. I will be delving into the blockchain revolution and its rhetoric’s under this historical perspective and retraces its cultural and moral roots. What is the value and why is it necessary to reflect on the past? At times of economic crisis, or demographic crisis threatening to break down our systems, it is necessary to investigate our governance systems. Welfare State is criticized and pointed at by many groups, so the choice is to question the centrality of governance and reflect on decentralized systems, capable of full local autonomy, and capable of integrating with the current systems to offer a combination that can benefit the largest number of people. To function effectively with the present system we must question more than being partisan, or political. We must be pragmatic: to optimize the welfare state, to preserve the characteristics that characterize it, and which make it effective in order to maintain the fragile balance between freedom and equality and to perpetuate our democratic systems and make them more dynamic. The importance of this research is undeniable as it takes on ethical and social responsibility. Progress in care will only prevail as long as advances are remembered and practiced by new generations. The extended report of Deborah’s research will be published in an academic journal and on the SCImpulse website. History is relevant to understanding the past, defining the present and leading the future, often we fail to learn from its lessons. Evolution of care has not been reached, nor have the final pages of its history been written. As long as there remains a thriving sense of humanity in communities and society embraces compassion and empathy care will be met by and within communities. To understand care in the 21st century we must understand its historical roots and the value of the past to possess a vision that encourages to eradicate the ineffective and the conviction to create a better system that meets the needs of society.